I must admit to being tempted recently to leave Worcester Park. Perhaps I have just been worn down by years enduring the daily crawl along a traffic-choked Central Road, spending untold hours every month just getting from one side of Worcester Park to the other. Or perhaps it has been the month after month of relentless grey skies and freezing weather, relieved only by the flames of the occasional blazes at Poundland and WH Smith. To make matters worse, Tesco tell me (via the medium of billboard advertising) that their new store in Old Malden is actually in Worcester Park. They’ve arbitrarily made Worcester Park a whole lot bigger (we now incorporate The Plough and a 1980s picture of Top Celebrity Critic Gary Bushell) so travelling from one side of town to the other now takes even longer than it did before. It’s all getting too much. But what if I did leave Worcester Park? There would be things I would miss too much. Surely there is no town in this land with a Lebanese deli, butchery, bakery, pizzerie and cakery to match the legend that is Ryan Gate. And then Nefis install a new shop sign so blindingly bright that, like an unhealthy moth round a fat-filled light bulb, I am unable to resist the allure of their burgers (not that I could before the new sign was installed, mind you). I would miss the wonderful independent traders who cling on for dear life to their existence in Central Road. They need to be used not just admired, by the way, because they won’t survive without you. In particular I would miss that wine shop at the top of the hill that I may have mentioned once or twice on the blog. And Broadway Bargains, selling things we never need, some things we probably do need but will never know that we need, and the only place for miles around where you can buy a single button if the fancy takes you. 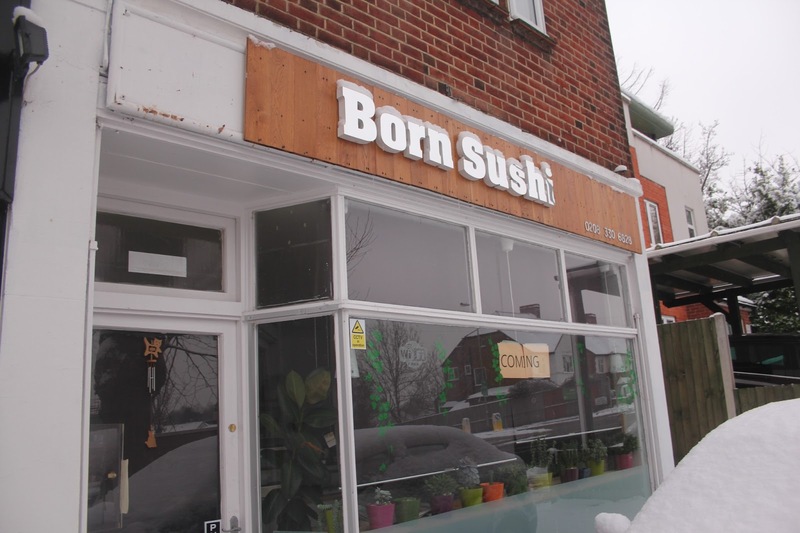 Then there is 'Born Sushi' - coming soon, according to the sign in the window, for the past year at the shop in Windsor Road. Well, now the word 'soon' has fallen down, so it now is apparently just 'coming'. If I left Worcester Park, I would never get to see if it ever does actually open. I would miss the sense of identity and community that Worcester Park still manages to maintain despite the rampant homegenisation of our towns and high streets and the rise of social networking, which gives us more reasons than ever before to stop interacting with the real people around us. Above all I would miss the blog, all the people I have met through it, the support of so many people in and around the local area and the wonderful comments and emails I continue to receive (including the ones that are far too salacious and scandalous to make it to your screens). It's been a blast. So that’s settled then. Leaving you would be a ridiculous idea. I can’t begin to think what came over me – I’ve just not been feeling myself recently. Normal service will be resumed tomorrow. So long live Worcester Park. Long live the Worcester Park Blog!